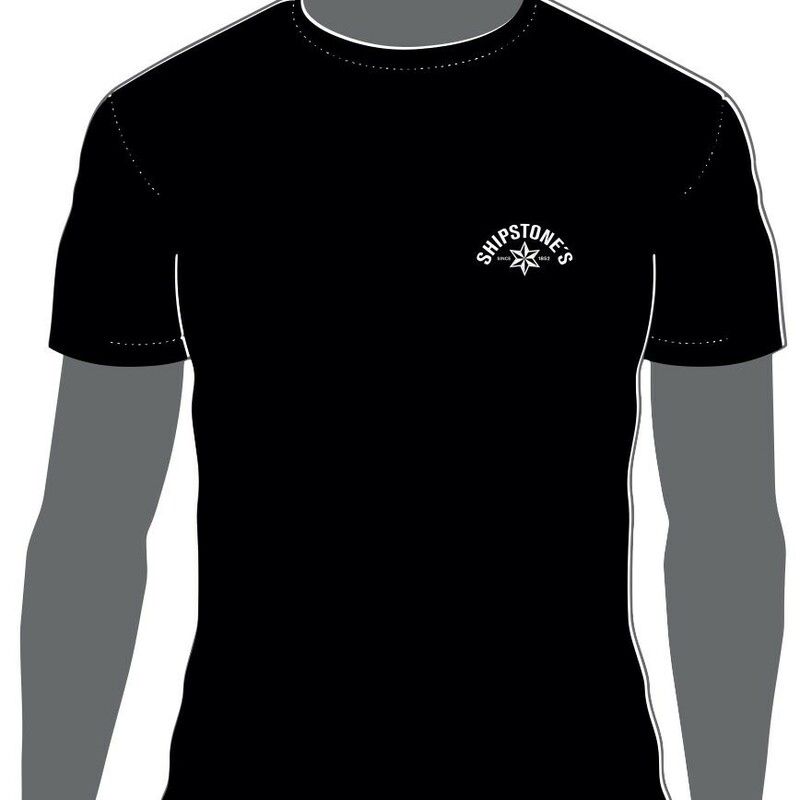 100% Cotton black t-shirt with the iconic Shipstone’s logo. Featuring the red star which gave the name to the star brewery in Basford, Nottingham and still can be seen from miles around today. The logo also shows how long Shipstone’s roots goes back and is certainly a piece of Nottingham’s heritage that is worth handing down.